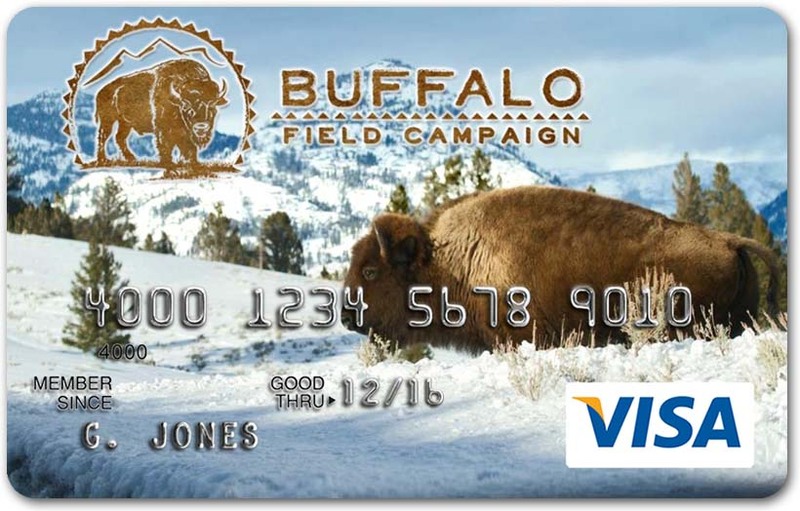 We're excited to announce a brand new way that you can protect the last wild buffalo: by using your Buffalo Field Campaign Custom VISA Platinum® Rewards card. 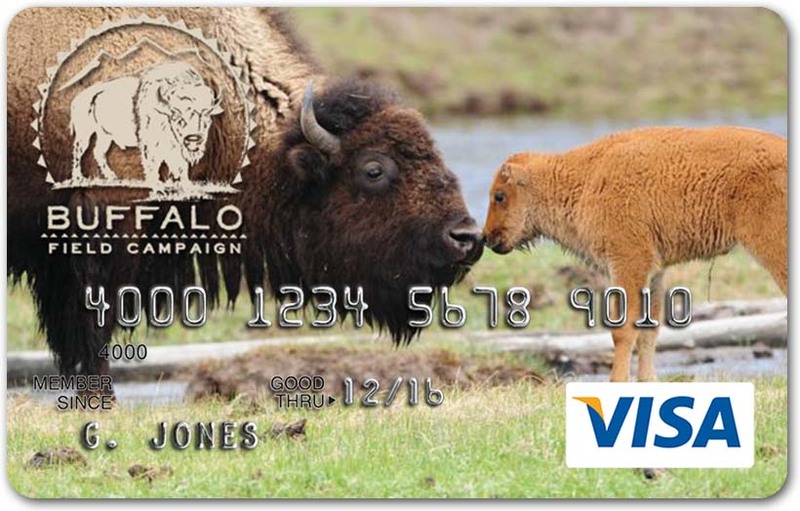 Yes, this is a rewards card just like any other you might be used to, but the best reward for using this particular credit card is that YOU ARE SAVING PRECIOUS BUFFALO! When you are approved for your new BFC Visa Platinum® Rewards Card, our issuing bank (UMB) will donate $50 to BFC when the card is used for a purchase within 90 days. 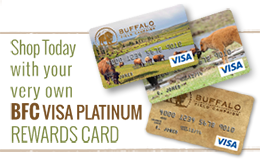 And the rewards for the buffalo don’t stop there, because UMB will donate a percentage of all your future purchases through this card to BFC as well! 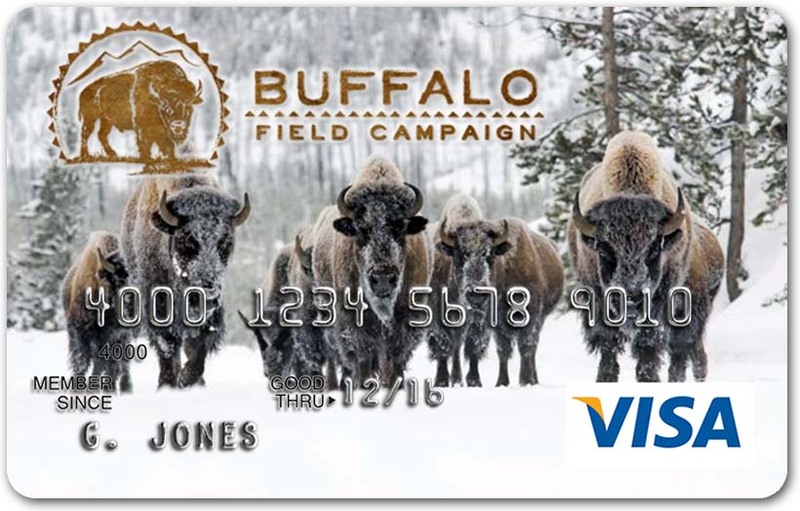 Each of these 5 customized BFC card choices shares a message about our mission, and there is sure to be one that will help you express your commitment to the buffalo! Want to read the fine print? Simply click here for more information (PDF). All the benefits of a platinum Visa card will be yours, along with the satisfaction of proudly displaying your support of our united mission every time you use your card. 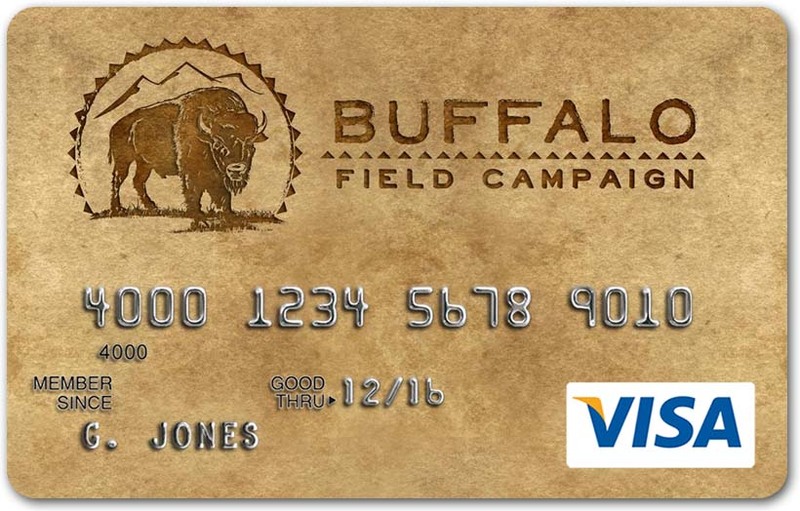 Please support us by applying for your Buffalo Field Campaign Visa Platinum® Rewards Card today! This program is only open to U.S. residents 18 years of age and over. To apply by mail, simply download and print this application (PDF). 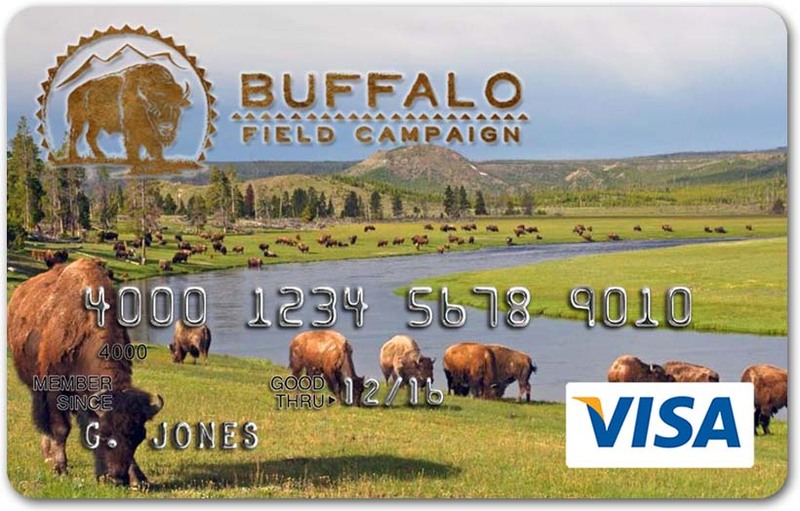 If you’d rather not join our credit card program right now, we hope you will consider supporting Buffalo Field Campaign through a direct donation.